High levels of seismic activity in Japan threaten plans for the underground storage of spent nuclear fuel and toxic radioactive waste. Calls for a temporary storage facility have sparked fears that the problem is being passed to future generations. 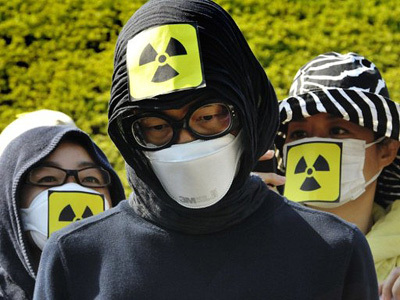 ­The Science Council of Japan (SCJ) has issued a recommendation calling on the government to revoke its plans for an underground burial site for nuclear waste, urging instead for the construction of temporary storage facilities. Scientists believe that Japan’s geological instability coupled with high levels of seismic and volcanic activity would be a constant threat to the disposal site. The SCJ recommends that Tokyo construct temporary underground or aboveground storage facilities where nuclear waste cylinders can be easily removed and transported, and be safely house for decades or centuries. This would allow researchers time to study the stability of Japan’s geological formations, while simultaneously developing techniques to better reduce radioactivity in nuclear waste, the recommendation said. “Based on the current scientific knowledge, we cannot determine a geological formation that would be stable for periods of hundreds of thousands of years,” Japan Times Online cited Harutoshi Funabashi as saying. Funabashi is a professor at Hosei University, and was involved in creating the SCJ’s proposal. “And in that case the best possible option is temporary storage,” he said. The report came in response to a 2010 request by Japan’s Atomic Energy Commission (AEC) to the SCJ to offer its recommendations on the government’s efforts to locate a permanent underground repository for high-level radioactive waste. 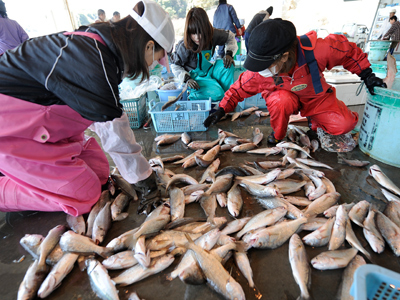 ­Japan currently possesses more than 2,650 cylinders containing vitrified high-level radioactive material. It also has the equivalent of 24,700 cylinders of spent fuel at nuclear power plants. The amount of such waste is expected to grow if Tokyo decides to end the country’s use of nuclear power and bury spent fuel underground without reprocessing it. Japan’s nuclear waste disposal strategy currently requires the reprocessing of all spent fuel from nuclear plants. The high-level radioactive waste generated during the reprocessing must eventually be buried at depths of 300 meters of more below ground, after being stored for about 30 to 50 years for cooling, Tokyo’s Citizens' Nuclear Information Center (CNIC) reported. In 2002, the Nuclear Waste Management Organization of Japan announced that it would accept applications from provincial governments willing to host a final disposal site. The CNIC said that only one municipality came forward in 2007, and later retracted its offer due to change in opinion by the mayor. 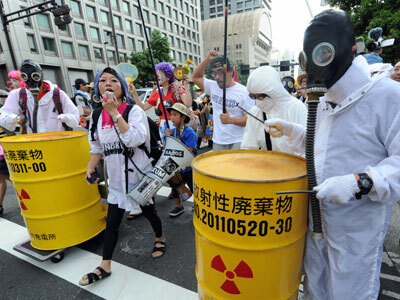 Some critics of the researchers’ recommendations argued that temporary storage for nuclear waste means passing the problem of disposal on to future generations, the daily newspaper Asahi Shimbun reported. But Professor Funabashi said that his proposal is not mean to irresponsibly pass the problem to future generations, but to provide researchers with needed time to find better methods for nuclear waste disposal. The researchers point to other countries that have decided to store nuclear waste in temporary facilities rather than bury it in a permanent disposal site. In 2007, Canada decided to store radioactive waste for around 60 years prior to final disposal. France plans to design a nuclear waste disposal facility that would allow the waste to be recovered for at least 100 years. 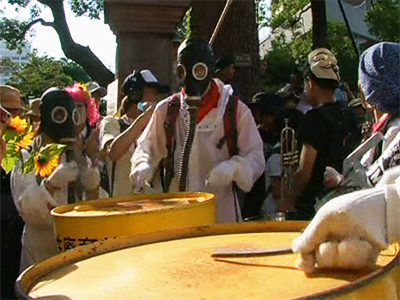 In the wake of the tragedy at the Fukushima plant and the national shutdown of Japan’s nuclear facilities, a recent decision to resume the use of nuclear power in the country led to the nationwide protests. 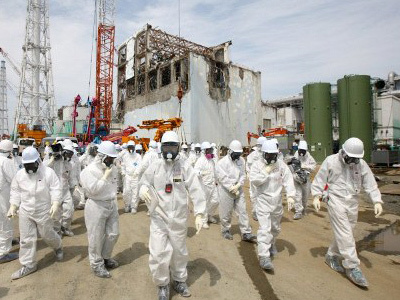 Tokyo's nuclear waste disposal policy is also currently undergoing revision. The SCJ recommendations are set to be discussed by the end of the year. The government's Energy and Environment Council will decide whether to incorporate the SCJ proposal in the Framework for Nuclear Energy Policy.